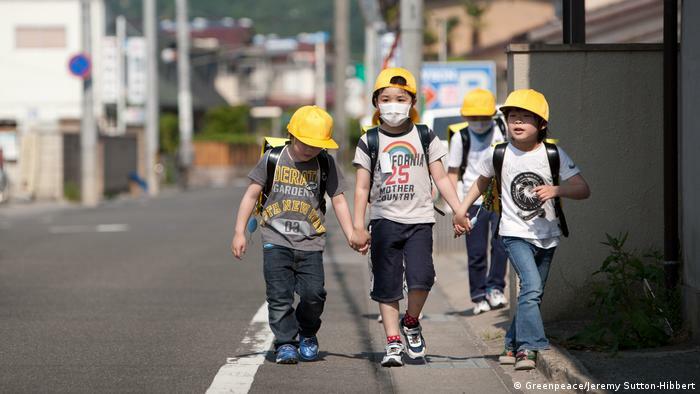 The Japanese government is trying to get back to normality after the Fukushima nuclear disaster, but the crisis is far from over for women and children, says Greenpeace. Thousands of mothers have sued the authorities. Six years ago, the triple disaster – earthquake, tsunami and meltdown at the Fukushima Daiichi power plant – took the lives of almost 20,000 people and displaced more than 160,000 people from their homes. More than 80,000 people are still living in temporary accommodation. The disaster had an enormous impact on all members of the affected communities, but to this day it is women and children who “have borne the brunt of human rights violations resulting from it,” according to a report by Greenpeace. While some injustices faced by women and children were caused by policy failures in the immediate aftermath of the disaster, other women’s and children’s rights violations are a direct result of the current government’s plans to resettle residents to “heavily contaminated areas in Fukushima,” says Greenpeace. In an effort to get back to normality as quickly as possible, the Japanese government is set to lift evacuation orders at the end of March and allow evacuated residents to return to areas close to the Fukushima power plant. 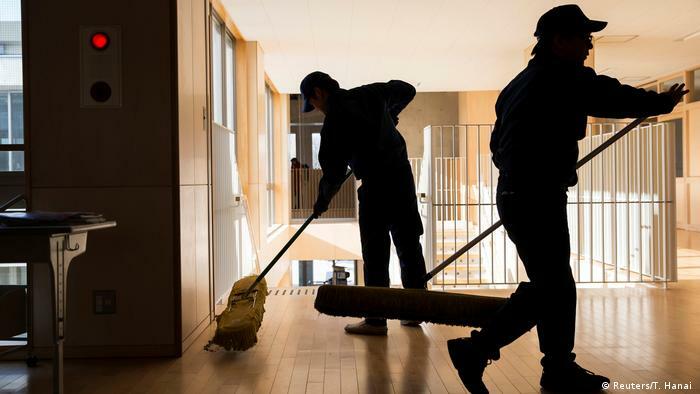 Employees clean an elementary school in Fukushima. It’s scheduled to re-open in April. Greenpeace warned, however, that radiation levels are still dangerously high and called on the government not to “pressure” residents to return to their contaminated homes, under threat of losing financial support. A year after an area is declared safe, the government will stop paying compensation to evacuees. In March, Japan will also cut housing support for people who decided to move out although they were not under a government evacuation order. The resettlement plans create a dilemma for those who refuse to go back to their former homes but are dependent on financial support, especially single mums. After the disaster, a lot of women separated from or even divorced their husbands, who chose to stay in contaminated regions because of their work, and evacuated with their children. There are no official numbers on how many families split as a result of the disaster. But the phenomenon is common enough to have a name, “genpatsu rikon” – literally meaning “atomic divorce”. These mothers evacuated with their children from Fukushima prefecture. Mothers are now faced with the choice between losing housing support or moving back to unsafe areas. In order to speed up the return of evacuees, the government decontaminated corridors and islands instead of entire areas, effectivley creating “an invisible, open-air prison for citizens to return to,” says Greenpeace. Decontaminated zones often consist of 20 meter strips along roads, around houses and agricultural fields. This poses a health threat as the returnees would be surrounded by contamination. Mothers are worried about their health and the development of their children. 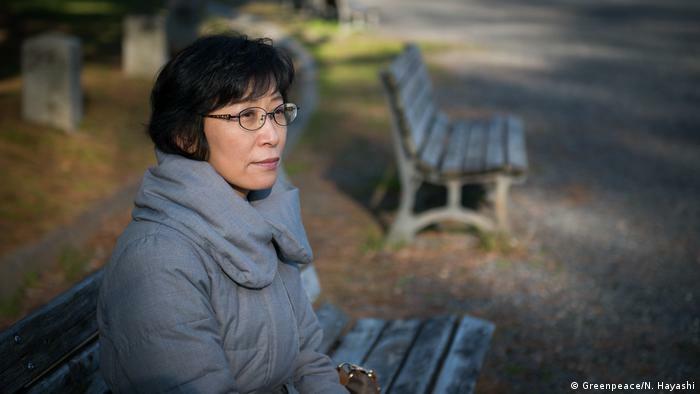 Noriko Kubota, a professor of clinical psychology at Iwaki Meisei University, believes that living in “safe zones” could have a long-lasting negative impact on kids. “If children need to stay inside and cannot run around outside freely, that would impact their psychological development, more specifically their skills of interacting with each other and controlling their emotions among others,” Kubota told DW. Women are, however, not only silent victims in this disaster. 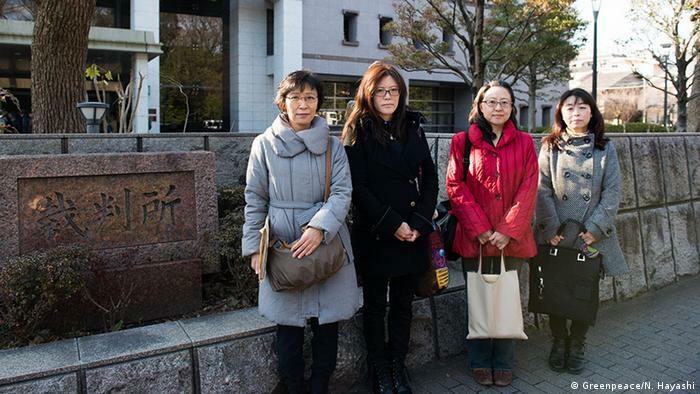 Thousands of mothers have together filed lawsuits against the Japanese government to fight for the continuation of housing support and fair compensation. They also demand accountability for the disaster from the government and Tokyo Electric Power Co. (TEPCO), the company running the Fukushima Daiichi plant. Ms Horie is sueing the government for fair compensation. Women who left contaminated areas have been “labeled as neurotic or irrational,” says Greenpeace. Their concerns were dismissed both by their partners and the government. The lawsuit is not only about financial compensation but also for moral satisfaction.